Look, there's something on the left of your screen! Gaze upon my magnificent sense of fashion, ye mortals, and despair! Wartales online campaigns, dedicated to bringing you the best in online warhammer campaigns! Although I would add a little wash on the metal parts, to give them some dept. 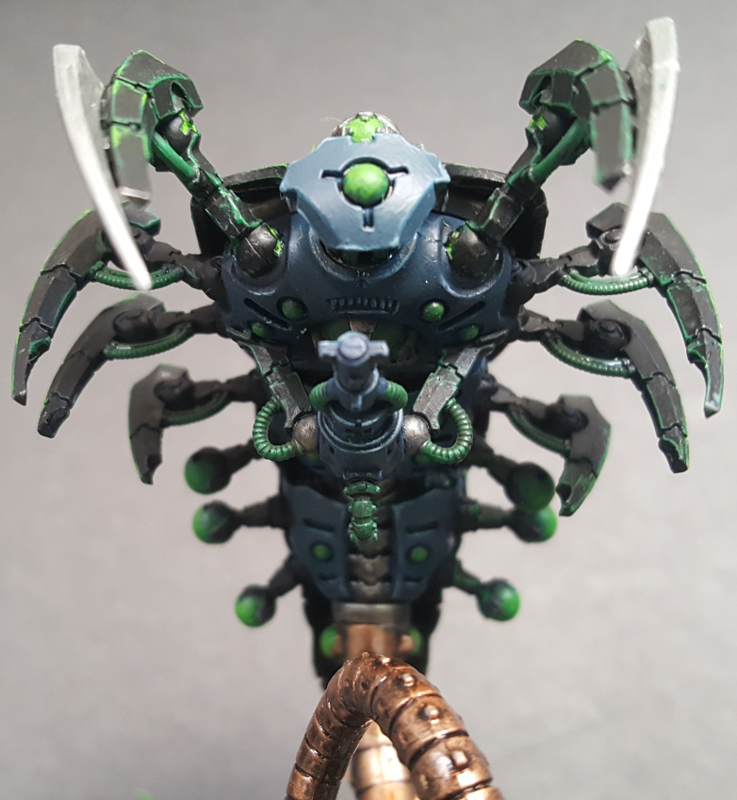 I know necrons normally don't look dirty, but I wouldn't mind. I like his pose. "Go be disintegrated somewhere else." Is there beer on the sun? 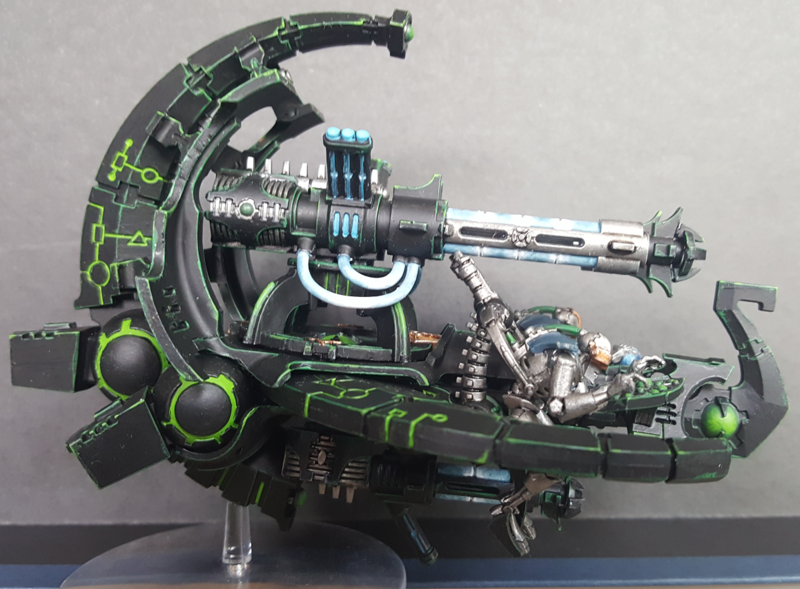 Anyone ever made a necron on a bike with a shotgun as a joke? Ha! That would be cool! 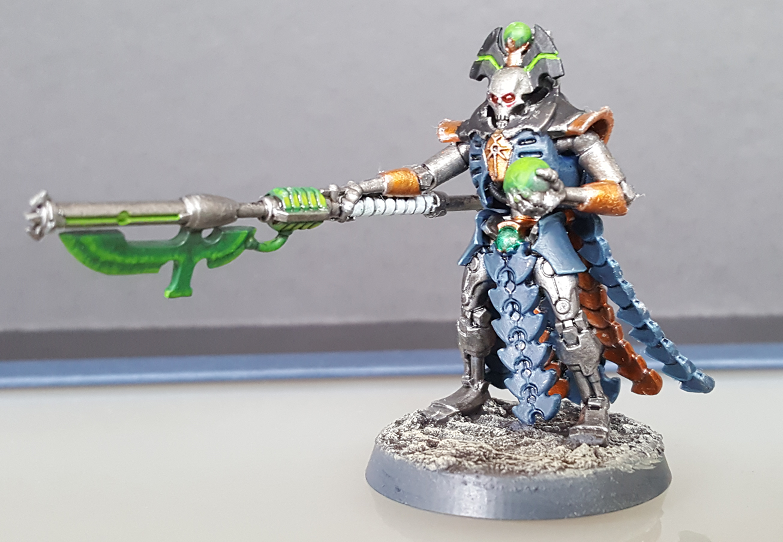 "Ahm looking fah Inquisitor Sahah Connoh." Ooh, that would be fun, with little greenstuff sunglasses for effect! 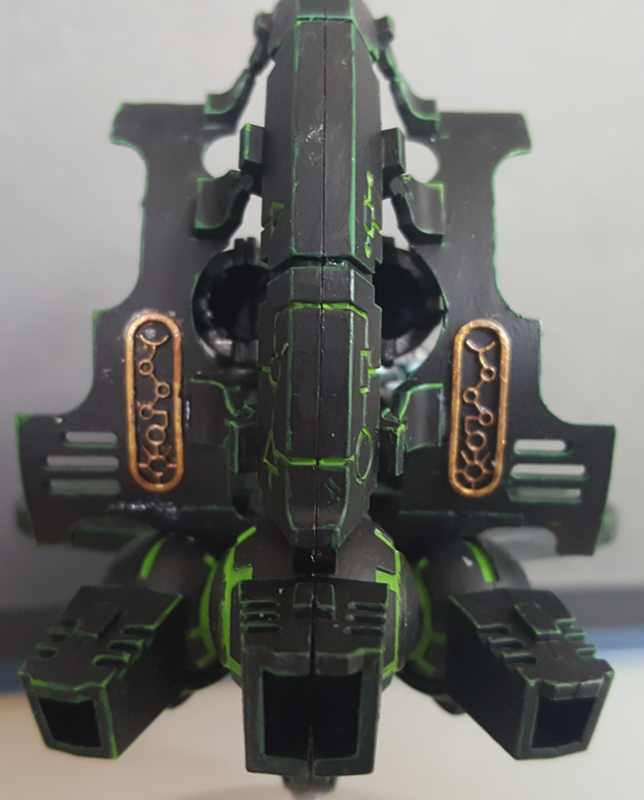 As for the wash; they do have some Nuln Oil on them, it's just that I paint Ironbreaker over all the raised areas afterwards, which makes them look all shiny. 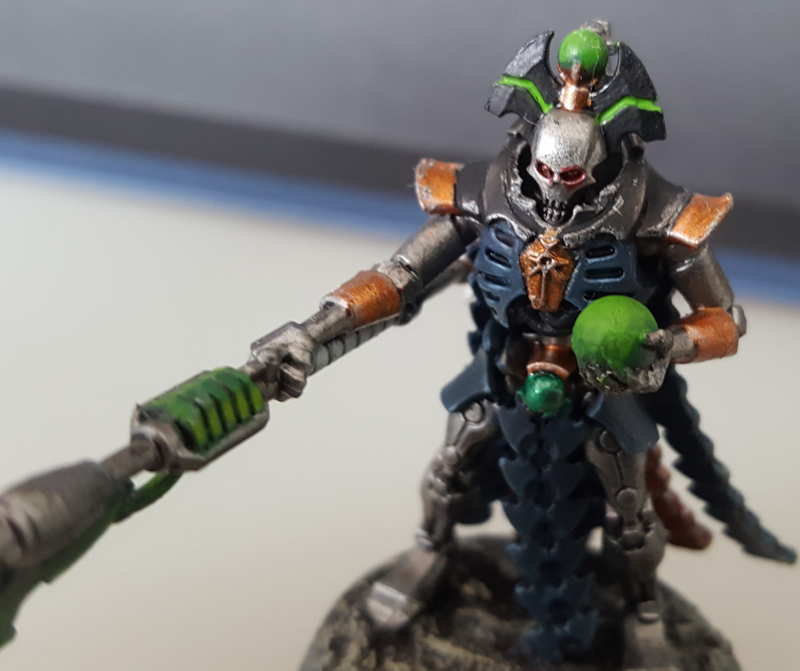 However I am working on some Immortals now, which I plan to give a bit older look, with leadbelcher->ironbreaker->2x nuln oil->agrax->stormhost silver rather than the leadbelcher->nuln oil->ironbreaker->stormhost silver I've been doing so far. 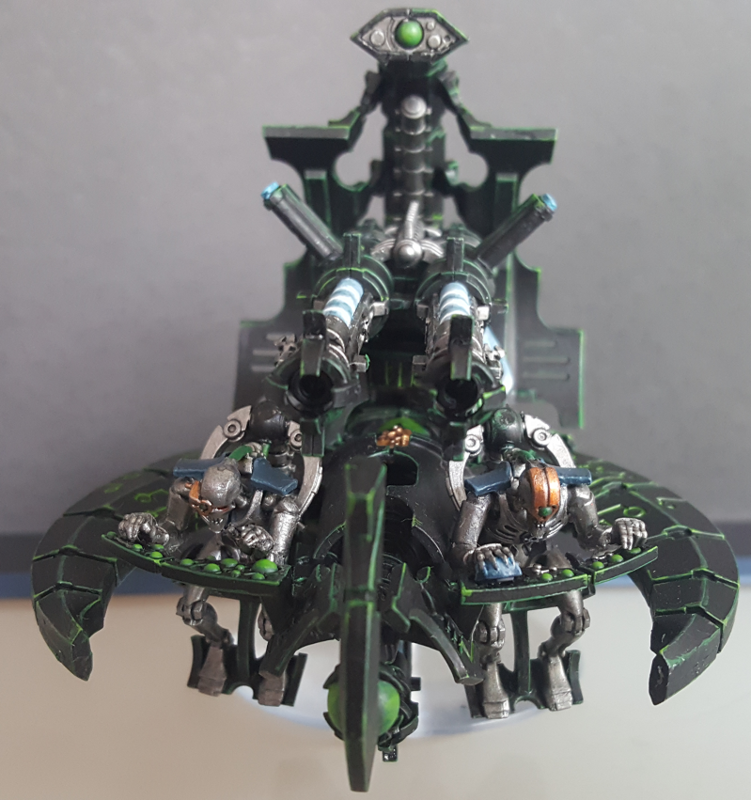 Also, I finished my annihilation barge! Accidentally switched these guys' seats, which is why they are staring at their control panels in utter confusion! Final picture from the front! 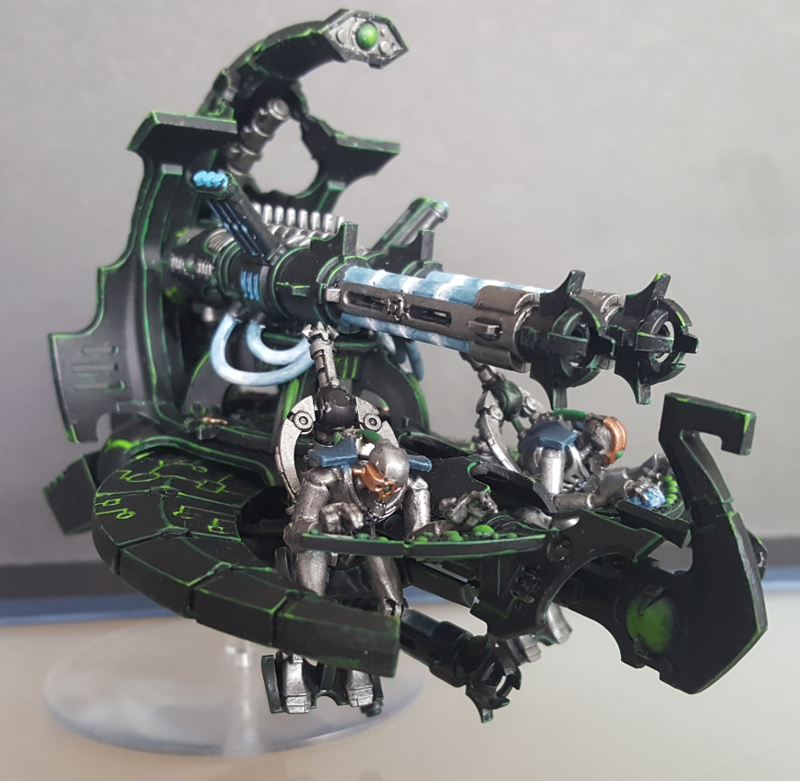 For some reason I just felt Tesla weapons should have a blue glow, rather than Gauss green. Anyway, let me know what you think! 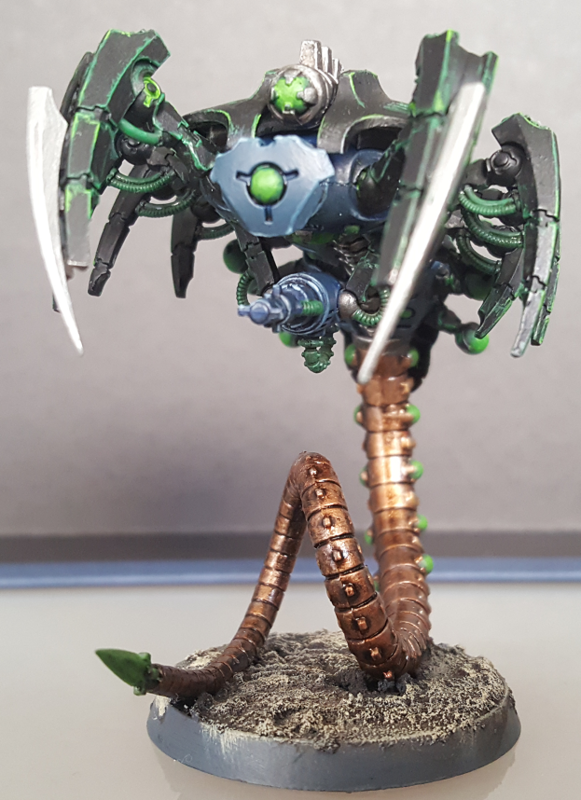 Next up are the immortals- hopefully I'll get at least the first one done this evening. Very cool! Looks like they are concentrating on the kill shot. I can’t see anything living on the blast side of that gun. Looking sweet! And I like how the runes turned out. Finished the first three immortals! Will probably finish the other two this weekend, time permitting. They're making a come-back, or so I've heard . Henceforth, they shall be known as the O.S.M.E. 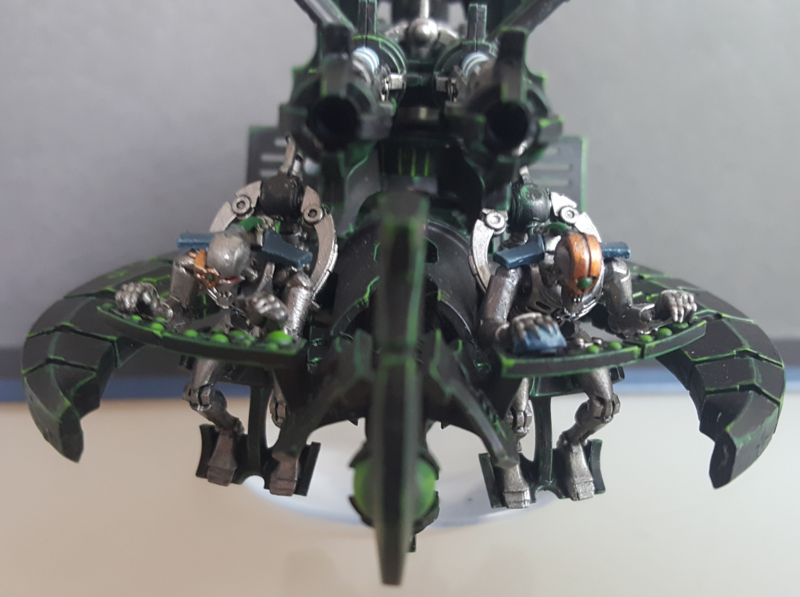 squad, or "one stupid mistake each". One model I accidentally cut part of the shoulderblade off, another I actually cut off the part which connects the back of the head to the spine (both of which you cannot see). 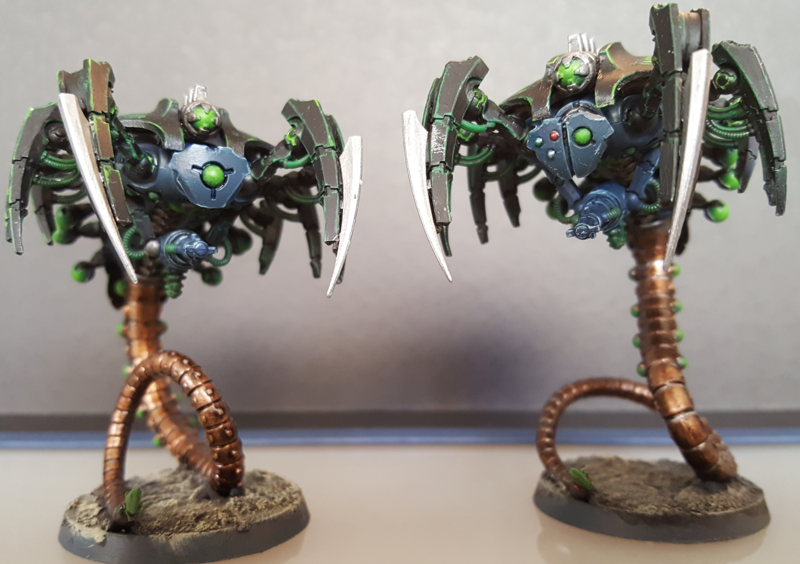 One model had the shade pooling on the upper legs, leaving a very dark spot on both. The fourth model's torso shifted forward a bit while the glue was drying, so he's perpetually scanning the floor for pennies. And the fifth one seemed to go alright until I stupidly dropped a glob of glue on the finished model, messing up five layers of paint. Sigh. Nonsense! He's just very careful where he puts his feet. He just doesn't want to trip in front of senpai the overlord. I really like the coloring on them. The guns look fantastic. Wraith plan sounds very interesting. I'm excited to see how it turns out. More that one always had his eyes looking down searching for them. Like he had a bad experience once where some appeared out of holes in the ground, or maybe some kind of sick twist on a game of whack-a-mole. Wait, that's not how you're supposed to play whack-a-mole? He wants to give you a hug! Side view. Just look at that magnificent tail! The tail didn't turn out entirely as I had hoped, but it is pretty nonetheless. 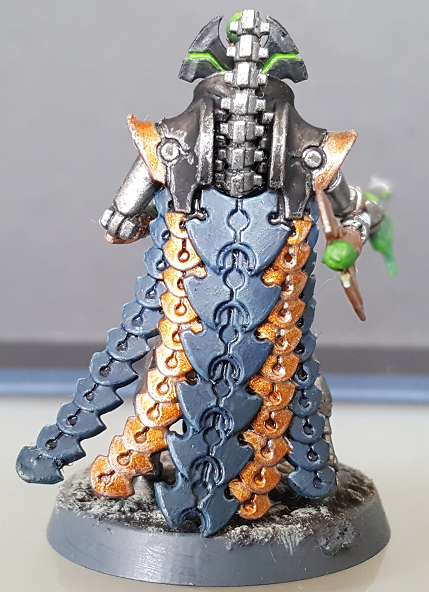 Might have something to do with the tutorial I found using Liberator Gold, and the closest thing I had was Auric Armour- which is a bit more yellow. Still, I'm not complaining . Any comments, tips, feedback are more than welcome! I'm a big fan. I just want to boop it on the snoot. Me too. 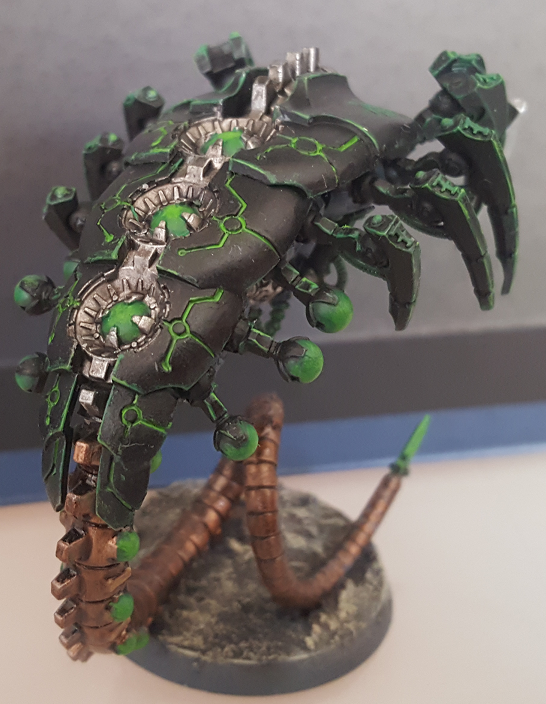 These Necrontyr look intense! Thanks for the kind words! 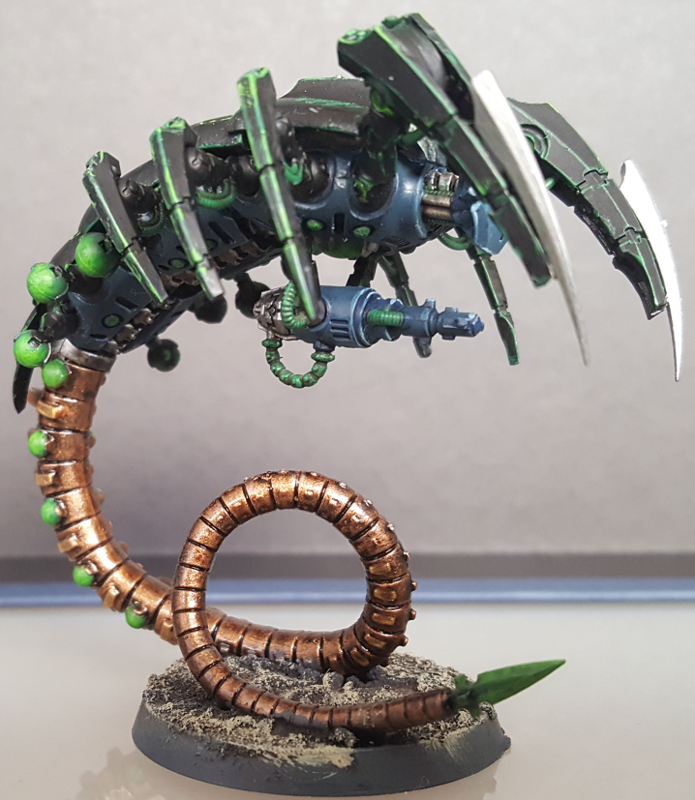 I finished the second wraith, on to the third! Everything is better with friends. Especially eviscerating meat bags! I can imagine getting stomped and crushed by these guys but they are so beautiful I don’t think I would mind.